This is my kind of Easter egg decorating. It’s probably as fun as dipping eggs in mugs of coloured hot water and vinegar, if not more so. And everybody wants to eat these, whereas even an egg lover will can be tired of eating boiled eggs. 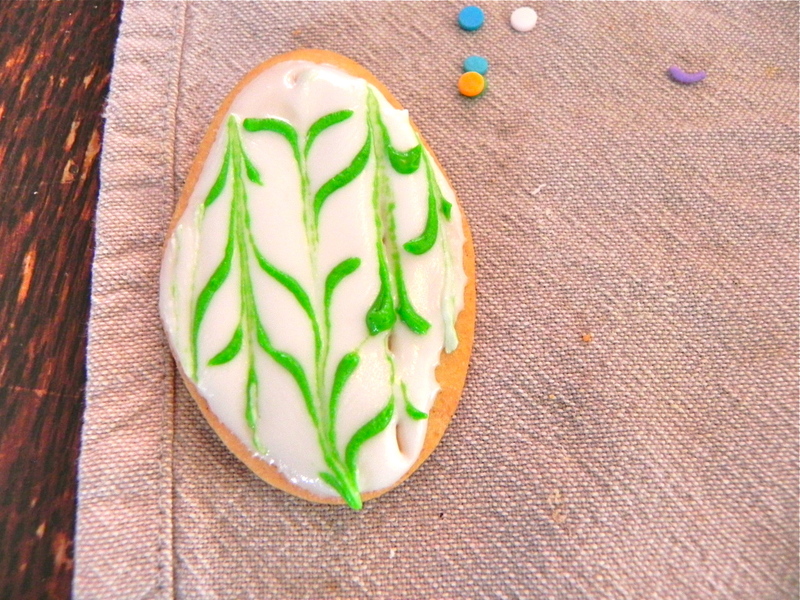 A batch of cookies stretches further than a dozen eggs – both for decorating fun and chomping. 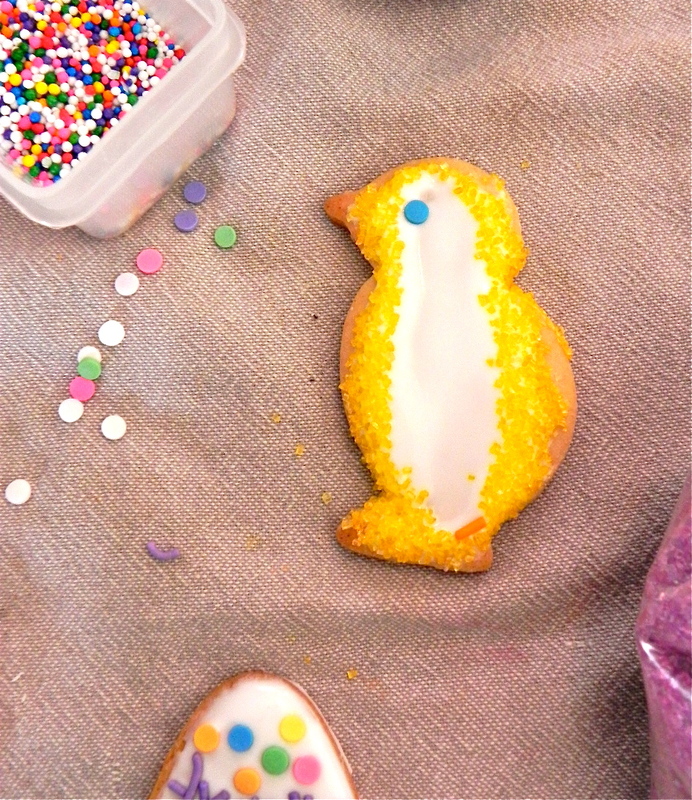 Plus, who wouldn’t like a spring chick cookie?